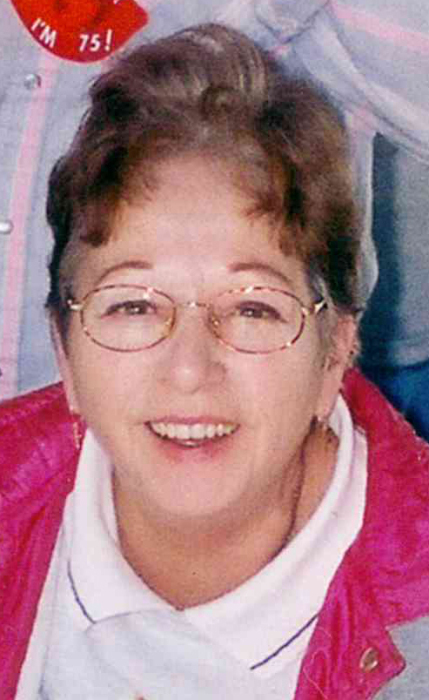 OTTAWA – Alice May (Winchester) Maltas, age 79, of Ottawa, passed away November 12, 2018 at OSF St. Anthony Medical Center in Rockford. Funeral services will be held at noon on Wednesday, November 14, 2018 at Gladfelter-Roetker Funeral Home with Pastor David Daniel officiating. Burial will follow in Ottawa Avenue Cemetery. Visitation will be from 10:00 a.m. till service time on Wednesday at the funeral home. Pallbearers will be George and Gavin Damron, Paul Winchester, Jim Wilson, Craig Eiben, and Rick Gruenwald. Honorary pallbearers will be John Winchester, Chuck Eiben, and Bob McLaughlin. Alice was born August 4, 1939 in La Salle County, Ottawa, Illinois, the daughter of Luther and Alice (Morlan) Winchester. She married Gene Maltas on June 19, 1959 in Zion Lutheran Church. He preceded her in death December 16, 1987. Alice is survived by a daughter, Alice Annette; a grandson, Travis G. (Courtney Lee) Maltas; 2 great grandsons; and four sisters, Delores Eiben, Ellen Super, Joyce Allen, and Judy (Robert) McLaughlin. She was preceded in death by four sisters, Naoma Harcharik, Diane Hicks, Darlene Wilson, and Ruth Shafer and five brothers, Carl, Jack, Harry, Ronald, and Leo Winchester. Alice attended Zion Lutheran Church and was a member of the American Legion Auxiliary. To sign the online guestbook or share a memory, please visit www.gladfelter-roetker.com or Gladfelter Funeral Home on Facebook.